So ideas and development take off when we meet and work together. This means the office is necessary as a meeting place even if the work itself is changing. New technique and new ways of working demand new kinds of furniture that help the office function and the staff to deliver. We call this Edsbyn – the working office. This means that we always ask ourselves whether this product or service contributes to creating effective work and meeting places. We also ask whether it helps the organisation’s employees to be more effective in their everyday tasks. If the answer is Yes, then there is room for the product or service in Edsbyn’s range. As the nature of working life changes, the nature of the office also changes, and at Edsbyn we observe this transformation closely and develop our range accordingly. As we become more and more mobile in our work, new demands are set on office furniture. For example, it’s increasingly important to be able to charge mobile phones, tablets and laptops regardless of whether you’re sitting at a desk or in a comfortable armchair. So of course we develop Edsbyn’s products with this in mind. Finally, we’re all people, so it’s important to understand how we interact both with technology and with each other. 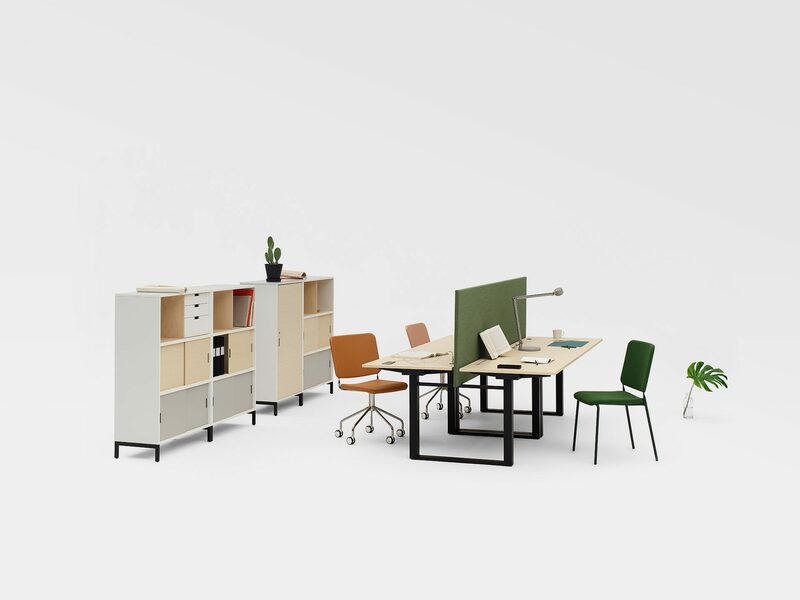 That’s how we can create office furniture that supports our customers in their everyday work and which positively affects employee behaviour and productivity.